As a result of all questions and doubts that have arisen from the enactment of the “new Code” (Civil and Commercial Code of Argentina, CCCN in Spanish), which came into force on August 1 this year, we will explain the effects of “Termination of the Community Property System”, mainly what we need to know when a couple decides to divorce, when one of the spouses dies, or when they decide to opt for a different property system and need to divide assets after the dissolution of marriage. Nowadays the law allows us to choose the way in which we want to “administer” our matrimonial property so that couples can select what property system will govern their marriages by executing a marriage settlement. Although the Code provides that prospective spouses may sign marriage settlements, it also limits the scope of said settlements. As opposed to what most people imagine, the law stipulates a strict framework of what terms the parties may agree on. Outside this legal framework, spouses cannot dispose of property in any way. If they do so, the law states that such disposition will have no effect. The principal amendment relates to the fact that now spouses can opt for a system of division of property, under which they keep the right to freely administer or dispose of their premarital property. At this stage we may conclude that the most significant change not only relates to the possibility of choosing one system or another, but also to the right to agree to change it, whether choosing between the division of property system or the community property system. For this to be possible, two requirements must be met. First, spouses must have kept the adopted system for a period of at least one year. Second, the settlement must be made by a notarially recorded instrument. However, if the parties are silent, that is, in case spouses do not make any marriage settlement or do not agree on any property system in the settlement, the community property system will apply by operation of law, as the situation was before the new Code. “In my view, the Commission correctly chose not to do what Italy implemented after the Code of 1942, when it changed the system in force at that time thus generating a strong opposition from the society, who was not accustomed. Here we thought that the same thing could happen. That’s why the community property system was chosen as a legal and suppletory system “, explained attorney Pedro Di Tella during a seminar held at University of Buenos Aires Law School (UBA). Another relevant issue to point out is that spouses who got married before the new Code came into force have the right to change systems, as long as they meet the statutory requirements: time in the system (one year) and written settlement made by a notarially recorded instrument. Such change of system does not require any leave or acknowledgement from a court. So far this is what the parties may “choose”. Nonetheless it is important to highlight, as we have mentioned before, that the freedom of choice is restricted by what is called Régimen Primario (Primary System) based on mandatory and unalterable rules which apply whatever system the parties may have adopted, and on the principle of joint and several liability, family responsibility, and protection of family and other persons. Consequently, any agreement to the contrary will be of no effect. – neither spouse may dispose of the matrimonial home, nor of moveable property and property used for work without the other spouse’s consent. – they must contribute to support themselves, the home and their children in common, in proportion to their resources. If one of them fails to do so, he or she could be sued in court. – they are jointly and severally liable for the obligations assumed by each of them to meet family common necessities and children’s maintenance and education. Apart from these cases and except as otherwise provided by the marriage system law, none of the spouses is liable for the other’s obligations. Not only prospective spouses may choose a property system, but they may also specify in the settlements what assets they bring into the marriage, which debts are still due, and what donations they have made to each other. To sum up, it is important to realize that all these amendments have not been made in a capricious way, just because a substantive reform of the code was needed. The reform of the Code represents and consolidates the solutions provided by case law and legal authors to the social and cultural changes of the last decades as a result of the absence of express rules. This entry was posted in News on September 27, 2015 by Elias Kier Joffe. Company law (US: Corporation law or Corporate law) is the law which deal with the creation and regulation of business entities. The most common forms of business entity are companies and partnerships. A company (US: corporation) is a group of people which is treated as a legal person, with a separate identity from its shareholding members. It can own property, enter into contracts, sue others and be sued. This contrasts with partnership, which is not considered to be a legal person and it is not able to own property in tis own name. Because of the limited liability of the members of a company for its debts, as well as its separate personality and tax treatment, the company has become the post popular form of business entity in most countries in the world. Companies have an inherent flexibility which can let them grow; there is no legal reason why a company initially formed by a sole proprietor cannot eventually grow to be a publicly listed company, but a partnership will generally have a limited number of partners. A company has shareholders (those who invest money in it and get shares in return), a board of directors (people who manage the affairs of the company) and creditors (those to whom the company owes money). Company law deals with the relationships between companies and their shareholders, creditors, regulators and third parties. The process of registering a company is know as company formation (also company registration in UK and incorporation in US). Companies can be created by individuals, specialised agents, attorneys or accountants. In the UK, a certificate of incorporation is issued once the company’s constitutional documents and statutory forms have been filed (generally no official certificate is issued in US). The constitution of company consist of two documents. The memorandum of association (US: articles of incorporation or certificate of incorporation) states the principal object of the company. The second document, the articles of association (US: bylaws), regulates the company’s internal management and administrative affairs, including matters such as the rights and obligation of shareholders and directors, conduct of meetings and corporate contracts. This entry was posted in News on July 11, 2015 by Elias Kier Joffe. Those looking to purchase property abroad would be wise to consider purchasing in Argentina at this moment, with the guidance of bilingual (Spanish/English) Argentine lawyers. Currently, Argentines are hesitant to spend before this year’s presidential elections, resulting in some of the lowest property prices in years. But while locals are holding back, foreigners without ties to the local economy can invest now at extraordinary prices. 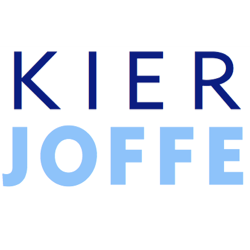 Kier Joffe is the premiere real estate law firm for foreigners in Buenos Aires, and with our expertise and guidance, the buying process is simple, direct and stress-free. We are proud to call ourselves the only bilingual Argentine lawyers with such expertise in the real estate industry. In January 2015, only 1723 property units were sold in Buenos Aires – 15 percent less than were sold a year ago, serving as the worst numbers for the month in 12 years. The average price was $907,306 Argentine pesos. The sale and purchasing of property is in a historic low in the City of Buenos Aires. 2014 ended with some of the lowest indicators in 30 years, and 2015 has started with a similar forecast. 2014’s numbers are the lowest since the months immediately following the economic, political and social crisis of 2001 in Argentina. In fact, during the years after the 2001 crisis, it was reported that 67 percent more units were sold than were sold in 2014. For example, in 2001, 54,493 contracts were signed, in 2001, 56,293, and in 2014, only 33,690. The information comes from the College of Notaries in the city of Buenos Aires, which measures changes in the market. Real estate lawyers in Argentina have noted the same phenomenon, noting that Argentines are buying less than they have in recent years. Property prices are much lower than they were three years ago. Since the implementation of tight monetary restrictions, the price of properties in dollars fell between 10 and 15 percent, and remain low now, according to reports by the specialized consulting firm, Reporte Inmobiliario. Analysts consulted by newspaper La Nacion agree that causes for the low level of activity in the sector are due to more than just the restrictions on dollars. There is an existing tendency for sellers to delay activity as they wait for the administration to change this year. There are also difficulties accessing mortgages, a wider gap between salaries and prices, the recessive nature of the economy and consumers’ perception of high prices. At this time, the square meter in an apartment with two or three rooms costs US$ 1700, on average, while two years ago that price was US$ 1900. Mortgage lending has practically disappeared from the market, and those that are available are not easily accessible. For example, to qualify for a credit of AR$ 500,000 pesos (or US$ 57,736.00 using the official exchange rate), paying the loan off in ten years requires monthly payments of AR$50,000.00. This type of capital is only enough to purchase half of a two-room unit. 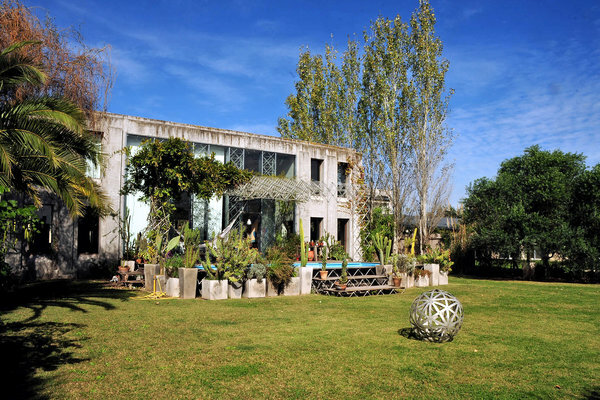 While Argentines are experiencing difficulty obtaining the capital needed to buy a property, the climate is ideal for foreign investors looking for a beautiful property at an accessible price. But it is important to seek the assistance of an expert real estate law firm in Buenos Aires first. If you are interested in learning more about how to buy property in Argentina as a foreigner, contact us. Celebrating 75 years in the business, we are real estate attorneys that specialize in assuring that foreigners in Buenos Aires do not experience any of the headaches that come with working through a new and different legal system. With an international reputation worthy of mention in The New York Times, Kier Joffe is your one-stop shop for information and legal services related to buying a property in Argentina as a foreigner. The first firm to specialize in providing services to international clients buying property in Argentina, we have assembled a top team of lawyers, accountants and notaries dedicated to making your buying experience as smooth as possible. For more information, just fill out the Quick Contact Form on the right or give us a call today, and we will get back to you. This entry was posted in News on March 9, 2015 by Elias Kier Joffe.